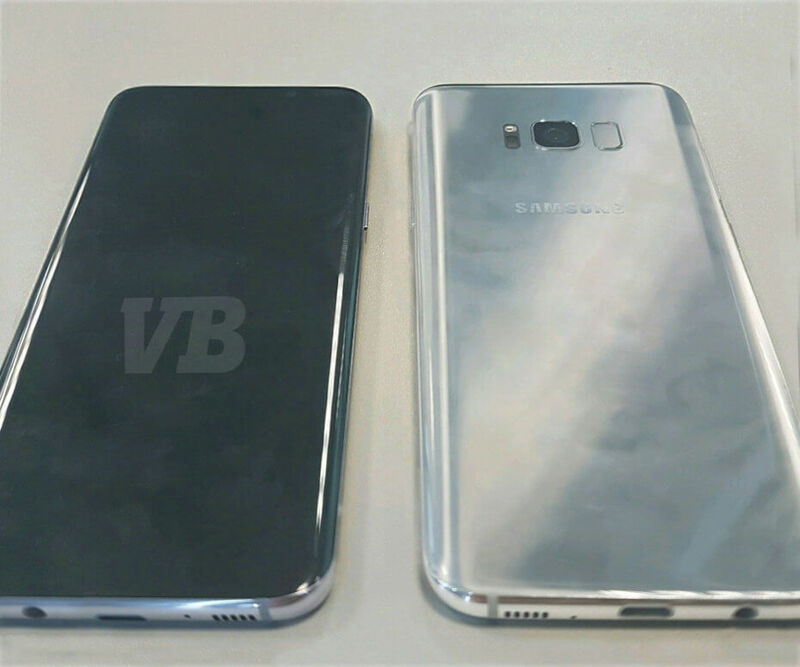 A new report out of Venturebeat has provided what we believe to be the first live picture of Samsung’s new flagship, the Galaxy S8. According to this new report, we should see an unveiling of a pair of Galaxy S8 devices on March 29 before they hit stores on April 21. We’ll talk about the design of the phone here in a minute, but we have more specs to report that match up to previous leaks. For one, the Galaxy S8 will come in two sizes, one with a 5.8-inch display and another with a 6.2-inch display. They will both weigh in at QHD and utilize Super AMOLED display tech. Don’t worry if those sound like extra large displays, because the panels will reportedly take up 83% of the front of the devices, leaving little bezel on sides or the top and bottom, which means no traditional Samsung navigation buttons either. The screen ratio may also change with these to 18.5:9, a move that LG is also making. Venturebeat is also under the impression that Samsung will introduce a desktop experience called DeX. It’s an optional HDMI dock that allows you to hook up your Galaxy S8 and receive a desktop view of Android through a connected monitor, keyboard, and other peripherals. This news was first reported earlier in the week. And again, the new Galaxy S8 will supposedly be unveiled at a New York City event on March 29. The in-store launch could then happen on April 21. Alright, so let’s talk about this picture below. 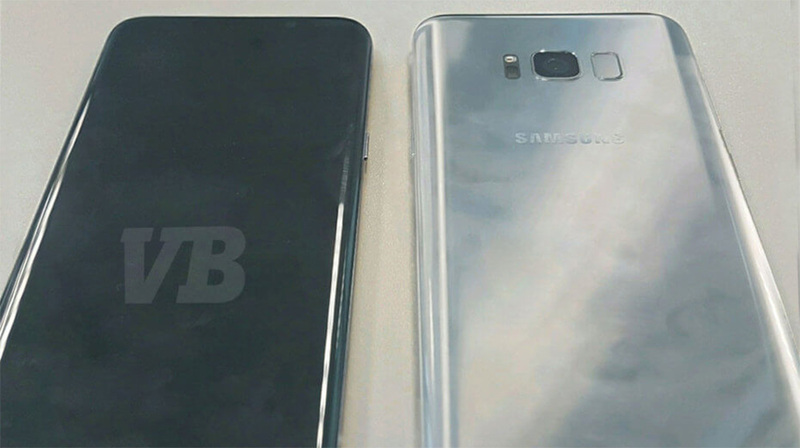 Obviously, the phone looks very much like a Galaxy Note 7. The big change is the display and the fact that it’s supposed to take up 83% of the front. It’s tough to tell from this picture if that is truly the case, but that idea has been reported on countless times at this point. Also, you’ll notice that the front is incredibly clean with no logos at all or a physical home button with capacitive buttons flanking it. Yes, that would mean Samsung is going on-screen buttons. As for other notable items, the fingerprint reader appears to be located to the right of the camera housing. Honestly, that is a terrible location. While my opinion on that could change, moving that out of a center position just means more hunting in order to unlock. I’m sure Samsung will try to sell me on the eye-burning Iris scanning capabilities, but I’d rather just use the old-fashioned fingerprint reader, one that isn’t in a terrible off-centered, ultra-high position. Finally, the shape and style match very much up to the last handful of Galaxy phones and certainly look familiar. At this point, we just want them in hand to know how easy (or frustrating) it may be to interact with an “Infinity” display.